Elkagorasa the Casual: Where Will You Be When Disaster Strikes? Where Will You Be When Disaster Strikes? Wake up in Orgrimmar. Everything Horde will be based in Orgrimmar. The level 80 quest hub starts right outside. The Flight trainer is there. The Reforging dude is right there. Like the leveling days, I'll probably park in the Inn. From the Inn, head up towards the Drag. Buy Azerothian Navigation - Take the new elevator right outside the Drag and run across the plateau and give her some gold. (200g exalted with Orgrimmar). Possibly another 4000g if you want a mastery in riding (which I think is code for 310% flying). Reforge my gear - From the flight trainer, I'll drop back down the other elevator on the other side to the reforger. He's currently (in Beta) in the Enchanter building (other end of Drag). Train up Alchemy and Herbalism - Run across the street from the Enchanter trainer to Yelmak, then back up stairs to the Jandi for Herbalism. Pickup bag from bank - Goodbye Shard bag. That's if I haven't already equipped it! I've also heard rumors that the shard bag will auto-convert into a 'comparable' sized bag. I doubt it will be a 28 slot bag. 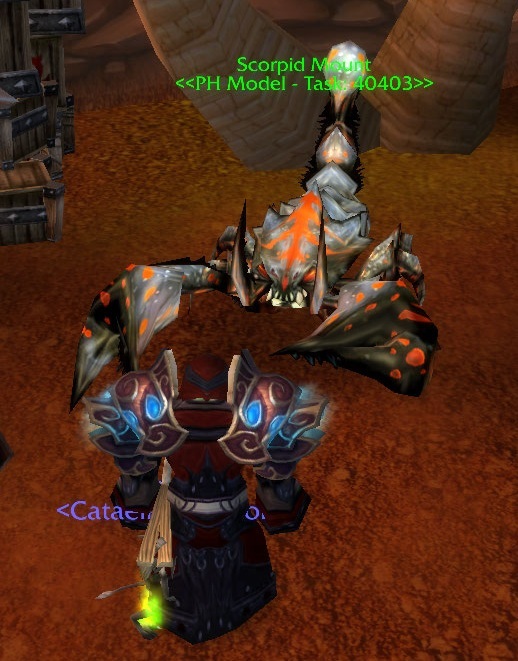 Check Guild vendor - I want to see how quickly we'll get that crazy Scorpion (Horde Guild) mount. Also curious what my current guild rep will be? Will it roll our current achievements and leveling into rep for the guild? 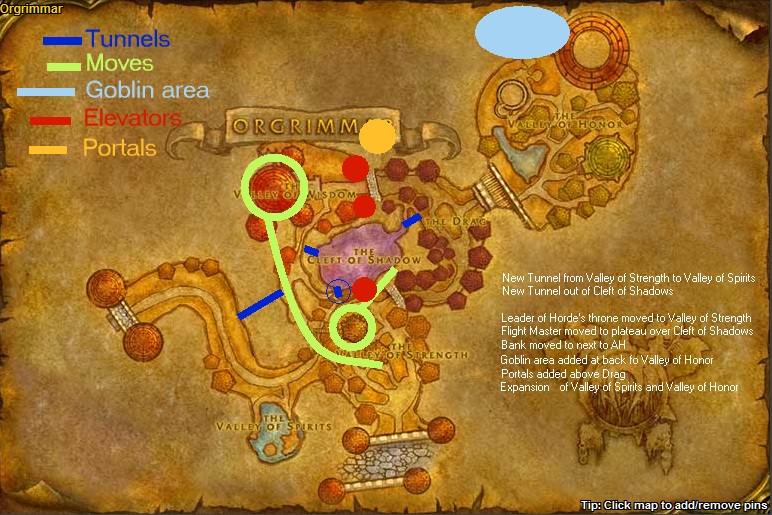 Pick up some rations - Going to need some higher level food and water for the questing zones. Get started on Vash'jir quest chain. Hop on flying mount and fly out to the new Dock outside Orgrimmar (map).Wondering if they added Unending breath back. It was gone for a few months in Beta. Still need to find new glyphs for my medium slots, figure I'll find a guildie who's leveling up to give me a few. Need to turn on Find Herbs again and maybe equip my herb bag as I'll be leveling up Alchemy again (and Cooking).